The San Jose State University community has a long tradition of helping during times of crisis. That was the case on Feb. 21 after the recent record rainfall led to Anderson Dam spilling over its banks in Morgan Hill and into the Coyote Creek, which then overflowed onto various streets and neighborhoods in San Jose, causing flood damage and displacing residents. While university administrators offered support to students, staff and faculty in the affected neighborhoods, CommUniverCity Director Dayana Salazar coordinated with The Health Trust to start a fundraiser to support local residents. As of the end of March, the groups had raised $9,430. In addition to financial support, Spartan volunteers also helped with cleanup work near the creek and around the city. 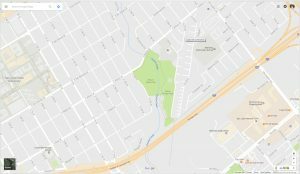 Keep Coyote Creek Beautiful (KCCB), the South Bay Clean Creeks Coalition and the city of San Jose initiated clean-up work starting on Feb. 24, with follow-up efforts into March. Alumnus Ralph Murrieta Jr. and students Shannen Osborne and Maribel Muratalla were among a contingent of volunteers ready to help on March 11. Murrieta and Muratalla have been KCCB team leaders for two years. On an early Saturday morning, volunteers, including Murrieta, found mud, downed fences, Ethernet cables and copper wires, as well as fallen debris from trees that had been drenched by the rains and accompanying high-velocity winds of the previous days. Murrieta, ’11 MPA, is no rookie when it comes to community service and volunteerism. “I’ve been volunteering with Keep Coyote Creek Beautiful, (a community group) dedicated to restoring the local watershed, for roughly a year-and-a-half,” he explained. Murrieta said he first became involved in community volunteering in 2015 through SJSU’s CommUniverCity program. CommUniverCity is a unique partnership between the university and the city of San Jose that engages SJSU students and faculty members with residents and city staff members for learning projects that accomplish neighborhood-defined goals. The program creates and supports 50 community action projects annually in a multitude of disciplines. They range from after-school tutoring and nutrition education to adult financial literacy classes. 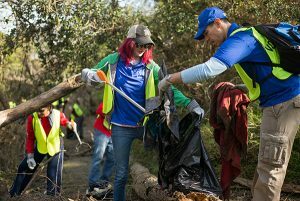 With cleanup being a vital community need in March, Murrieta served as team leader for a group of 15 to 20 other volunteers along the banks of the creek. Deb Kramer, program manager for KCCB, said their efforts were scheduled for two hours on March 11, but many volunteers stayed longer to help clean up the Olinder play area, including removing tan bark and sand, and cleaning play structures and picnic benches that had been contaminated by the flood. SJSU student and alumni volunteers participated in cleanups along the Coyote Creek, near William Street Park and the Selma Olinder Play Area, east of campus. Osborne, a senior majoring in communications, has been involved with KCCB since taking a couple of environmental courses at the university. She is currently serving as an intern with the community agency. The university’s partnership with KCCB is coordinated through the Center for Community Learning and Leadership, a program that supports service-learning opportunities for students. Among the items she and other volunteers picked up were old tires, shopping carts, old clothing and blankets, and a quarter ton of trash. Likewise, Murrieta’s home was spared any personal loss, but he witnessed firsthand the destructive forces of the recent flooding in the city. “I did see some of the flooded streets near my (place of) work,” he said. Both Osborne and Murrieta encouraged others to get involved as community volunteers. Murrieta noted what can be learned from the experience. When Sarat Lue, an electrical engineering student, arrived at SJSU he said he wanted a way to connect with his new community. Michael Fallon is the director of the SJSU Center for Community Learning & Leadership (CCLL). He facilitates partnerships between the university and organizations that help students engage in the community while developing leadership skills. In the latest National Survey of Student Engagement, SJSU students reported a higher participation in service learning, compared to their peers in California and the nation. Lue was one of several group leaders who guided 222 volunteers on a massive cleanup of the South Bay watershed on Oct. 17. Since August 2014, volunteers have removed 62 tons of trash from the creek. 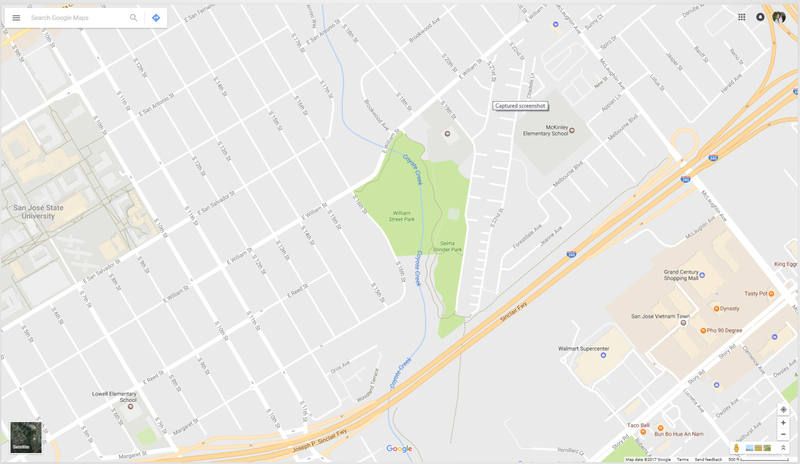 The SJSU Restore Coyote Creek project is one part of the South Bay Creeks Collaborative, which includes SJSU faculty, staff and students; community organizations; the City of San Jose and the Santa Clara Valley Water District. The group received the Outstanding Environmental Project of the Year Award at the San Francisco Estuary Conference in August for its work. Deb Kramer has been the program manager for Keep Coyote Creek Beautiful since May, when she was hired through a joint grant from the U.S. Environmental Protection Agency for the City of San Jose and the Santa Clara Valley Water District. “From more hands on the creek to more awareness to student activities to student projects,” she said, the university has provided key resources. In addition to physical cleanups, students and faculty have also raised awareness about the watershed. Students and faculty were instrumental in hosting the Coyote Creek Howl conference last spring, a one-day summit that focused on the ecology and human issues related to the watershed. Social Work students have been involved in looking at the homeless population around the creek. CCLL and the Social Work Graduate Student Association hosted a premiere of a documentary, “Exodus from the Jungle,” at SJSU in October with homeless advocacy groups. The documentary looks at several homeless residents who sought new shelter after being removed from an area along Coyote Creek known as “The Jungle” which closed in 2014.